Dave Lumley scored the empty net goal that sealed the Oilers first Stanley Cup at the Northlands Coliseum, but an incident on the same ice surface years earlier came close to ending his run with the Oilers. Dave Lumley played eight years with the Edmonton Oilers, winning two Stanley Cups. He says there are endless stories from the old Northlands Coliseum. Not all of them, however, are fit for public consumption. "You're not even close to half of them," chuckled Lumley as he looked back at some of the good times. "You've got like one per cent maybe, because the other 99 can't be told, maybe over a beer or something, but not on camera." But one story he doesn't mind telling over and over comes from the night the team won its first Stanley Cup. Lumley was one of the many role players on the dynasty teams in the '80s. But during game five against the New York Islanders, he somehow made it on to the ice with Wayne Gretzky and Mark Messier with less than two minutes to play. "First of all — the reason I got out on the ice — what Wayne Gretzky used to do is he'd always sit by the gate," he said. "He'd always sit at the end of the bench and if he could just come off the ice and the ref called a powerplay for us, you know a penalty on the other team, Gretz would rattle the gate and he'd look at Slats (Coach Glen Sather) and Slats would hear the gate rattle and look down there and say, 'OK, Gretz you're out there'." 'Lummer, you're on the ice!" So with the clock ticking down on May 19, 1984, as the Oilers were fighting off the Islanders and trying to nail down the franchise's first Stanley Cup, Lumley saw his chance. "It just so happened that I was there," he said. "And so when they pulled their goalie and Slats is looking around on who to go on, I stood up, rattled the gate, looked at him and he looked at me. 'Lummer, you're on the ice'." With the extra man, the Islanders were pressing in the Oilers zone. The puck squirted loose from the corner and ended up on Lumley's stick. "I was the straw that stirred the drink," Lumley said. "My favourite memory is the empty net goal that clinched the first cup." Lumley's goal was followed by bedlam with streamers, balloons, and fans crashing the ice. "I think I was looking at Mess (Mark Messier). His gloves were going up in the air and his stick almost hit the clock. You know he was looking up at his family in the stands. "In the dressing room after there was a million people. Now you can't get in there, you need an armoured truck to get in there, so it was a different time back then. "But more of the memories are afterwards, taking the cup around town and sharing it with everybody." The Stanley Cup wins almost didn't happen for Lumley. A few years earlier while the Oilers were battling the Montreal Canadiens, Lumley was on the end of a Steve Shutt body check. Back then, many players didn't wear helmets, including Lumley. "I thought I had broken my neck, that's why I remember it so well, because my whole body went numb. "I couldn't feel anything," he recalled. "I was knocked out and I remember waking up and the coliseum crowd was so silent and the trainers came and asked me my name. I didn't remember my name." The Oilers were in control of the game, and had a chance to sweep the powerful Habs. Almost certainly concussed, Lumley forced his way back onto the bench for the third period. "I got 11 stitches and came back out and played in the third period and scored the empty netter in that series — that was my forte, empty net goals. "With the concussion protocols these days, I would have never been allowed out there," he added. "And I didn't even know my name, and bang get the stitches and away we go, 'Let's play'." 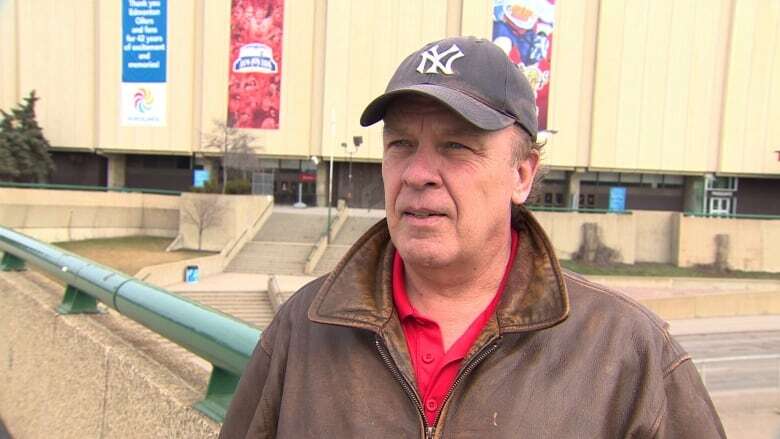 Lumley says his memories from the Northlands Coliseum days will never be forgotten. "I saw Davey Hunter doing an interview, and I don't remember saying this apparently. You talk to people around this town — it could be a by-product of how badly they're doing in the last 10 years, or haven't won a cup in so long — but it was a special group of guys, and a special talent." A group that, for the most part, will be reunited two days from now, as Oil Country bids farewell to the old barn to move into the new downtown arena.